Antoine Laurent de Jussieu (1748-1836), French botanist. De Jussieu categorized plants into families and developed a system of classification for flowering plants. He published the results in his book Genera Plantarum in 1789. 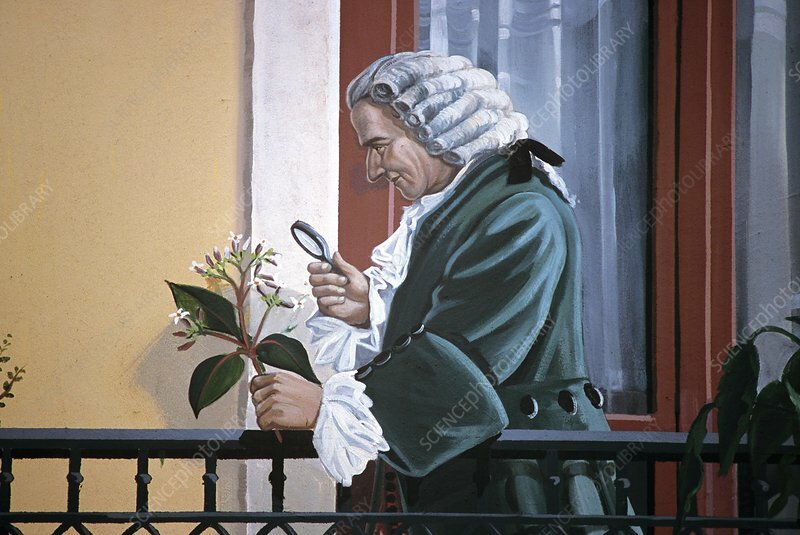 His system of classification was an improvement on that of Linnaeus, in that it used morphological characters from all parts of the plant instead of just the reproductive organs. De Jussieu's system remains the basis for classifying many modern plant families. He was Professor of Botany at the Jardin des Plantes from 1770 to 1826. This wall painting was photographed in Lyon, France, where de Jussieu was born.